Mindman pneumatic are supplied throughout the world by the renowned dealer and supplier of pneumatic parts that is super hydraulics and pneumatics. Both quality and price are very rational for the customers which make the distributor popular among its buyers. You can place your order anytime on the website of Super hydraulics and pneumatics to get it delivered within short time period. 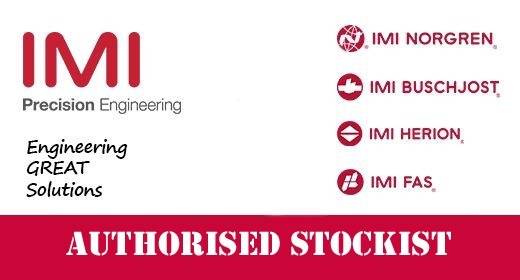 The import of Mindman pneumatics is done by considering the top class manufacturer and stockist from overseas countries. That is how the trust and confidence of customers is retained by the seller always. Huge range of Mindman pneumatics is delivered at the address of customers who place their order with the quality distributor of super hydraulics and pneumatics. Customers do not have to be disappointed regarding their order as they can find every product in the stock always. More the Mindman pneumatics have a good face in the market and people trust on its quality which is the important reason why supplier consider this brand for the purchasers. The categories of pneumatic products that are required in the industry is very diverse and that is the reason why wholesaler is supposed to keep every product in the catalogue always. From Air cylinders to directional control valves everything can be possible to buy for the customers from the Super hydraulics and pneumatics dealers. There are various types of Air cylinders in their sub category like compact cylinders, standard air cylinders, and mini air cylinders, round air cylinders, guide air cylinders, table, and linear motion cylinder, rotary actuator, grippers, clamp cylinders, rodless cylinders, stopper cylinders that can be ordered by the buyers from this platform. Talking about the directional control valves and their variety that could be purchased easily includes solenoid valve, process valve, pilot and mechanical valve are few to name at this stage. You can also ask for air treatment units like pressure switches, compressed air dryers, and many other air units. Various grippers like parallel gripper in two three and four finger and angular gripper are also supplied in India and foreign countries by the supplier. Apart from it different auxiliary equipments and electric actuators can also be ordered by the consumer at any time. Every customer wants to purchase from a place where he find no scarcity of quantity and compromise in quality. Super hydraulics and pneumatics seller ensure both the priority of the buyers by giving heavy stock of products and that is too from reliable brands. More you will never feel any issue with the variety of products as every single pneumatic product of Mindman brand is stocked for the customers by the seller. More the delivery is also done on time with proper packing and checking of the product before it is ready to be shipped for domestic as well as international supply.